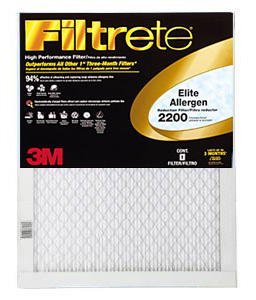 No competitors 1" filter performs better. 94% effective at capturing large airborne allergens, such as pollen, mold spores and dust mite debris. Also captures small particles such as smoke, smog, household dust, pet dander, bacteria and particles that can carry viruses and tobacco smoke odors. Lasts up to 3 months.